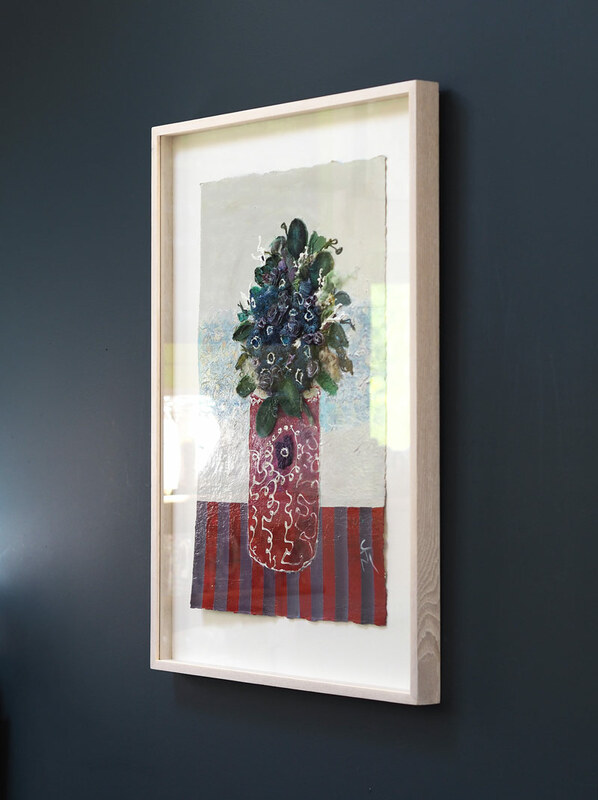 A stunning pairing of colours by Carmel Madigan. 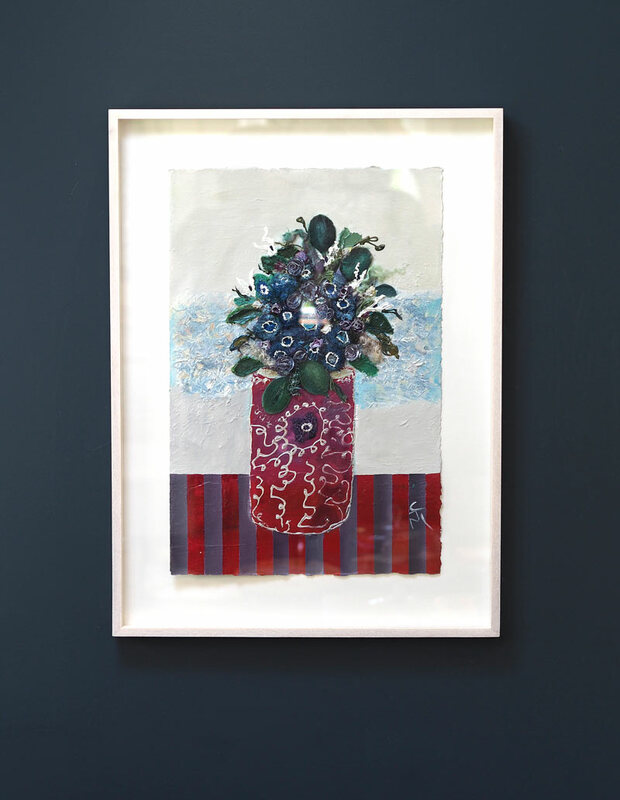 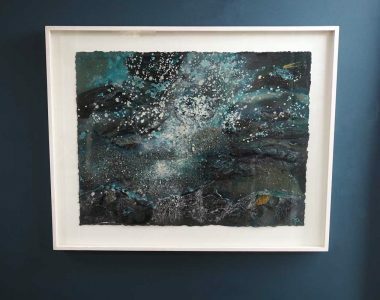 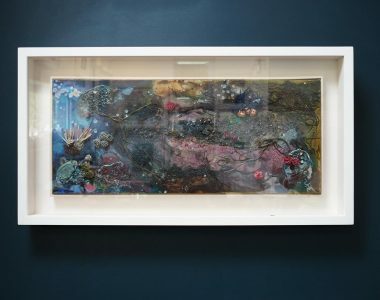 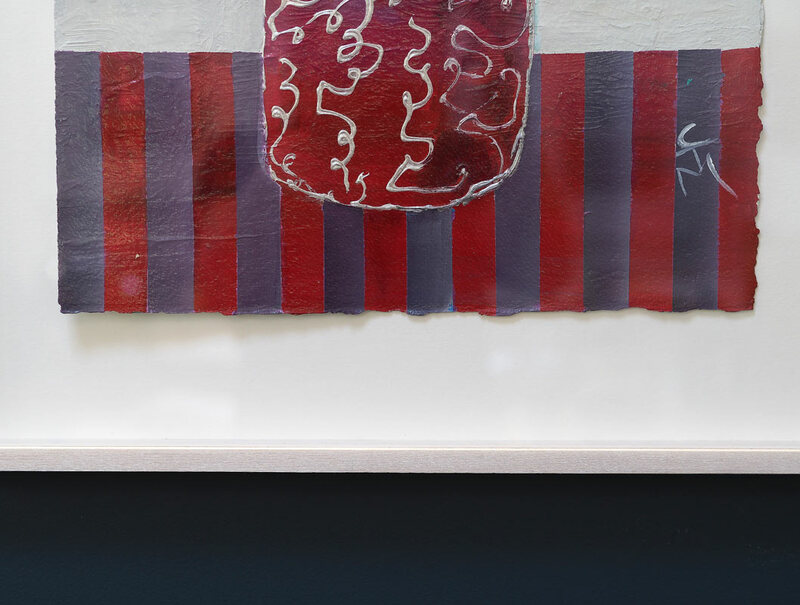 This is a really exciting mixed media piece by the Bridges of Ross born artist, whose use of deep burgundy, purple, dark green and the perfect shades of blue, makes for a piece that is ultimately very hard to walk past without stopping and admiring. 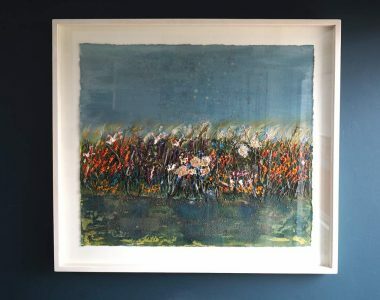 Be sure to go through the gallery of imagery here to see up close and personal the beautiful layering of acrylics that she has used to achieve this. This piece would look fantastic in a reception area, bringing a level of colour and positivity to the space.